About a week ago, NASA tested the RS-25 rocket engine on the new Space Launch System (SLS), a launch vehicle that will drive the next generation of space shuttle deeper into space than we have been able to go thus far. The video (shown below) has been made available to the public and provides an excellent excuse for the discussion of compressible flow regimes. In the past, our readers have been exposed to the world of fluid mechanics quite often (whether through aeroacoustics, turbulent vortices, hydrodynamic drag, or various other phenomena), and have even been exposed to the subject of compressible flow briefly, so today I am going to give you a bit of an introduction to the subject of gas dynamics and then I will explain the different flow regimes associated with compressible flow. Fluid mechanics, as discussed previously on this website, is the study of fluids (liquids, gases, plasmas), their movement, and how they interact with internal and external stimuli (loading/forces, pressure differentials, dissipative effects, heat transfer, etc.). Today, we will only be looking at gas dynamics, which differs from the study of liquids in that, for most purposes, liquids (i.e. water) are assumed to be incompressible. With gases, this is not the case. Due to the greater amount of space between free particles, gases have a much greater ability to be compressed. Owing to this compressibility, the terms “gas dynamics” and “compressible flow” are often used synonymously to refer to the same field of study, as compressibility becomes a vital factor as the speed in a gas flow is increased. As a result of this compressibility, two important phenomena are uniquely encountered within the field of gas dynamics that play a huge role in high speed gas dynamics, as will be defined shortly. The first of these is the choked flow condition, which finds application in the usage of convergent-divergent nozzles (amongst other things), but which will not be discussed here for simplicity. The second of these is the formation of shock waves. Shock waves are essentially pressure waves that have coalesced together to form a “Mach wave”, which represents a discontinuity in the flow field….right, so what in the world does that mean? If an object were to be stationary in the air and have pressure waves emanating from it, they would propagate out in all directions at the same speed (the speed of sound) and form concentric circles about the object. However, as the object begins moving (within subsonic flow), the pressure waves become sent out at different times; in essence, the object sends out a pressure wave, then moves forward and sends out another, and so on (although, this happens basically continually). As the object’s speeds increase, the center points of these waves get further apart, and thus the waves become compressed in the direction of motion, and expanded in the opposite direction. Eventually, if the object continues moving faster, the object will be moving at the speed of sound, meaning that the object will be travelling at the same speed as the pressure waves are being sent out…in essence, the object has matched or caught up with the pressure waves that it is sending out, and so when the object sends out more pressure waves, they can no longer propagate forward from the object, but rather travel at the same speed, while the portions of the waves traveling backwards are now being left in the dust…figuratively speaking. The waves that are being emenated from the object all at the speed of sound are now really close together and essentially stack up and coalesce into one solid pressure wave that is termed the shock wave. 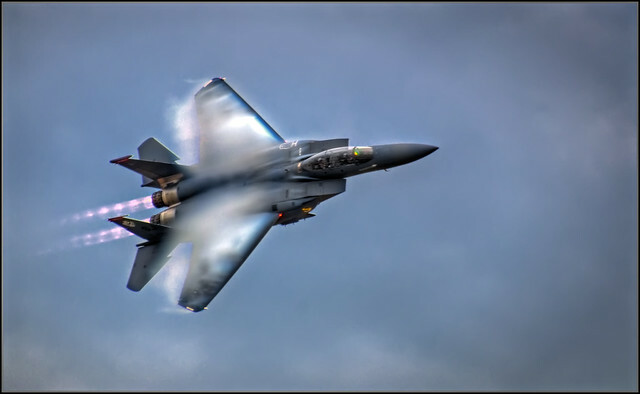 This shock wave can be heard as a “sonic boom” due to the discontinuity or abrupt change in pressure across the shock wave (forward of the wave, the flow is moving at the speed of sound and very low pressure, behind the wave, the flow is moving slower and at a higher pressure). 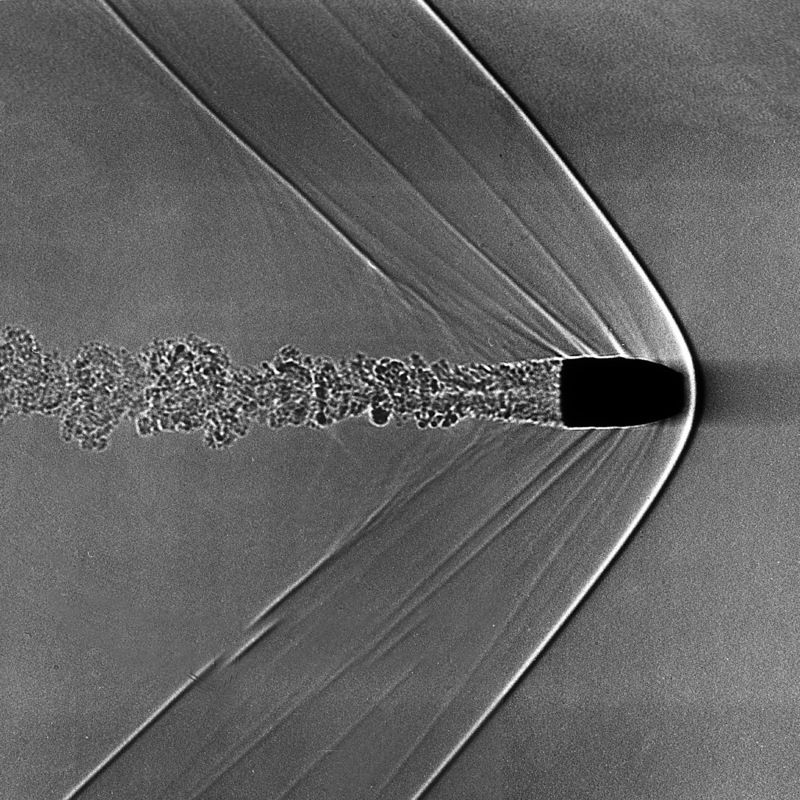 As the object speeds up even further, the object is now starting to outpace the pressure waves all together in what is called supersonic flow, so that the object is leading the waves, which begin to form a mach cone around the object; inside of this mach cone is referred to as the zone of action, while outside of the cone is referred to as the zone of silence. 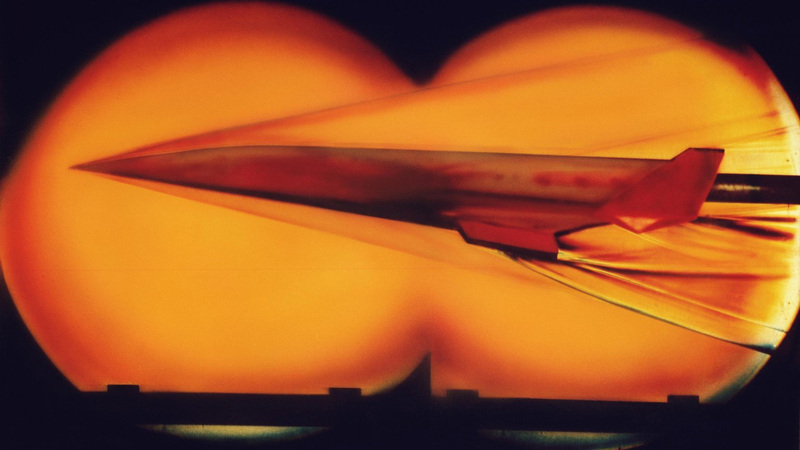 If the object moves even faster, it will eventually get to a speed so high (that of hypersonic flow), that the shock cone will tightly hug the skin of the object so that the distance is so small between the object and the shock wave, that the air gap (the shock layer) begins to heat up due to viscous effects and the aerodynamic heating effect, leading to what we term “high-temperature chemically reacting flow”; the flow is so hot that the gas begins to dissociate or ionize! So at what speeds does this all occur? To find this out, we define the Mach Number (a.k.a. M or Ma) as the ratio of the object’s speed to the local speed of sound; to understand this, a value of 0.5 would mean that the object is moving at half of the local speed of sound, 1.0 would mean the object is moving at the local speed of sound, and 2.0 would mean the object is moving twice as fast as the local speed of sound. Up to a value of Ma 0.3, the flow is described as incompressible and thus is analyzed similarly to other incompressible fluid dynamics such as most liquid flow. An example of incompressible flow would be what the baseball encounters when you play catch with a friend. Once the object hits Ma 0.3, the flow is considered compressible and subsonic in that the object is still moving slower than its pressure waves. 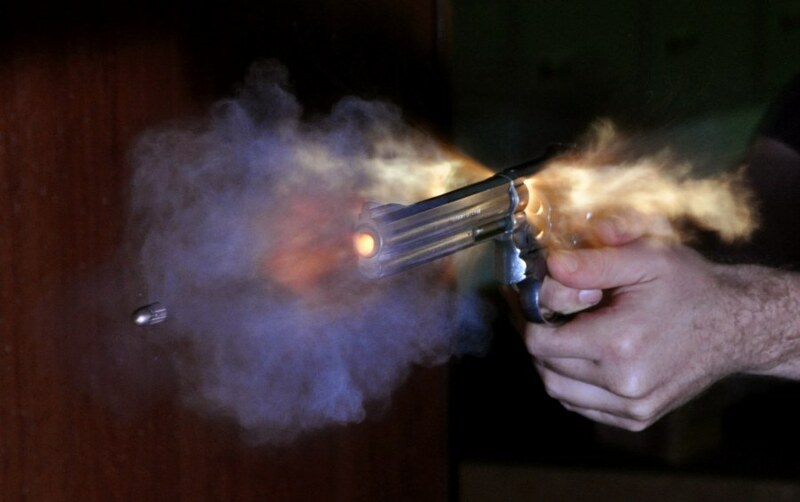 An example of subsonic flow would be the flow around many .38 Special bullets. 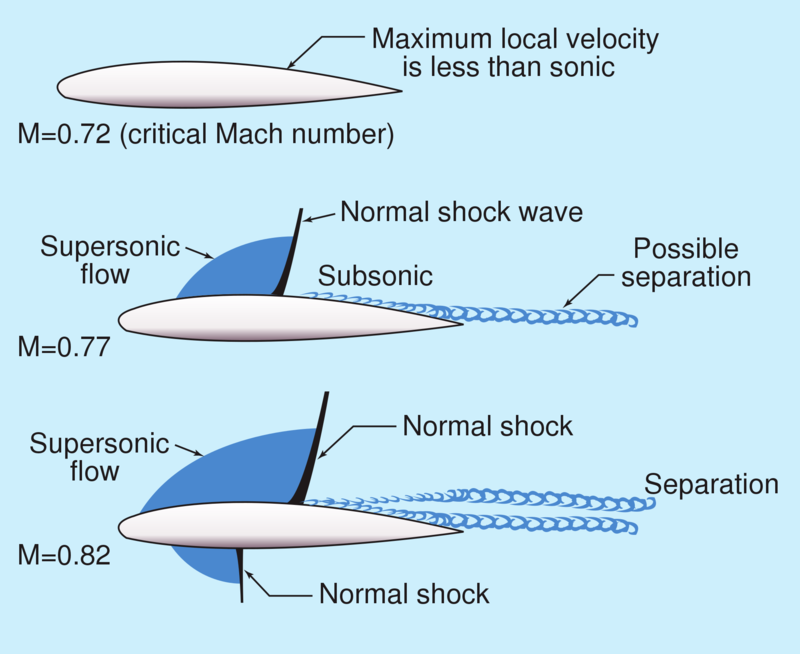 Once the object reaches about Ma 0.8, transitional instabilities begin to set in and persist to about Ma 1.2; this regime is termed the transonic flow regime and can be seen in basically any application wherein an object is accelerating to supersonic speeds, as the object must pass through the transonic regime to reach the supersonic regime. Above Ma 1.2, the shock waves have generally been established in full and the vehicle can be said to be in the supersonic flow regime. 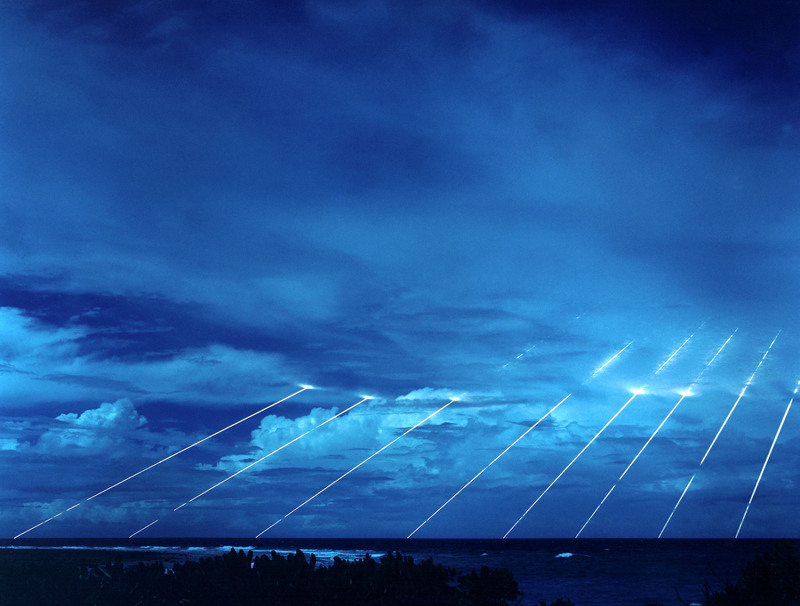 Applications include supersonic jet engines, such as those found in many military aircraft and supersonic ammunition. More photos will be included here since supersonic flow is the meat of this post. 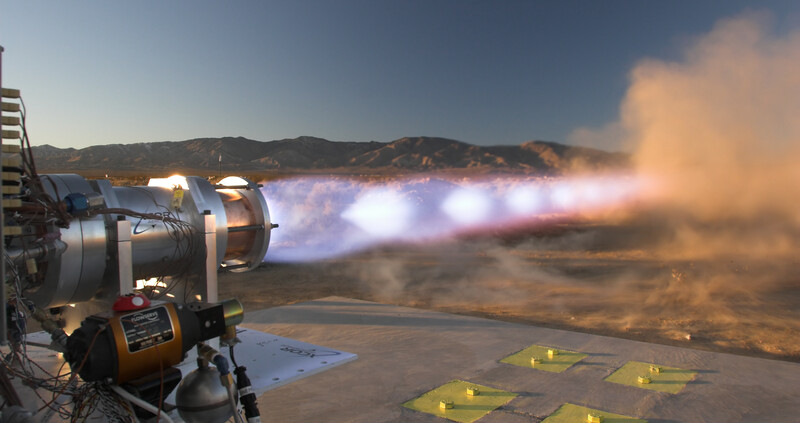 Lastly, above Ma 5, the aerodynamic heating effect comes into play and the flow enters the hypersonic regime. Applications are hard to come by as this is a subject of a great deal of current research within the fields of mechanical and aerospace engineering (more specifically fluid dynamics); however, one instance of this kind of flow that nearly everyone is familiar with is that of the space shuttle, especially during what is termed re-entry. In fact any re-entry vehicle will experience hypersonic flow, and very likely “hyper-velocity flow” which is essentially an upper range of hypersonic flow speeds.